If you’d been paying close attention, you’ll have seen some of the best goals in the USL through the first half of the 2018 regular season featured on ESPN’s nightly SportsCenter Top 10 countdown, with some of the league’s top players grabbing the national spotlight with some astounding finishes. Now you have the chance to make your own rankings of the 15 goals that appeared on SportsCenter’s Top 10 in the first half of the 2017 season. Will Phoenix Rising FC’s Jason Johnson get your top spot? 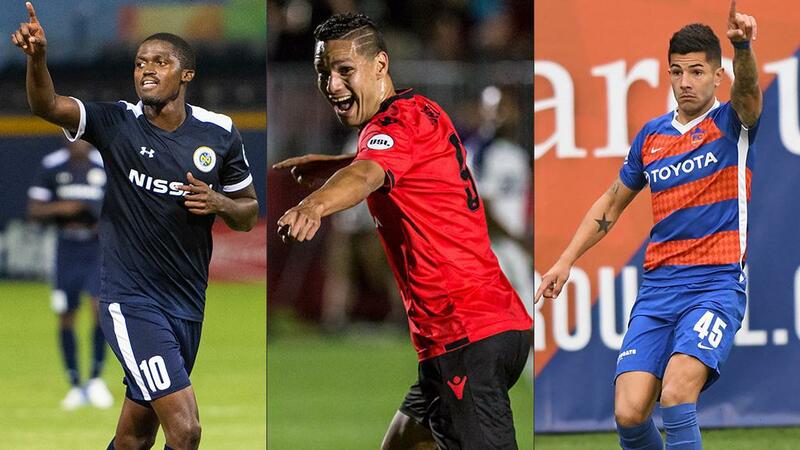 How about FC Cincinnati’s Kenney Walker or Emmanuel Ledesma, or Fresno FC’s Jemal Johnson or Franck Tayou? Make your voice heard, and share the results.